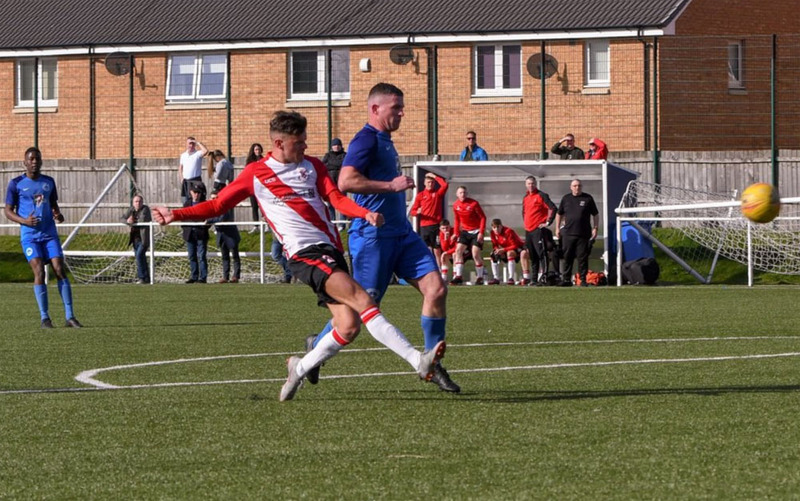 For Bankies boss Kieran McAnespie the long run-in to the end of the season gives him a chance to have a look at some of the younger players who may be looking to step up from the academy. Coll and McHugh had the chance to impress and Matt McLean started his first match since August. The match started brightly enough with Jordan Shelvey volleying a poor headed clearance narrowly past the post. At the other end Faulds dinked a neat through ball to Degnan, but he made a mess of the chance by firing it wildly over the bar. Clydebank took the lead in the ninth minute with a strange goal. The ball was hit long, low and hard from back to front. The Cumnock defence could only have mis-read the situation as they allowed the ball to run beyond them. Del Hepburn was onto it in a flash and buried the ball in style. The lead lasted only three minutes as Matt McLean gave away a free kick on the edge of the box. Sean Higgins decided to help his keeper out by standing on the goal line, and when Burns took the kick he seemed perfectly placed when the ball came straight at him. However, he made a complete hash of it getting the ball tangled between his legs and somehow managing to allow it to dribble over the line. 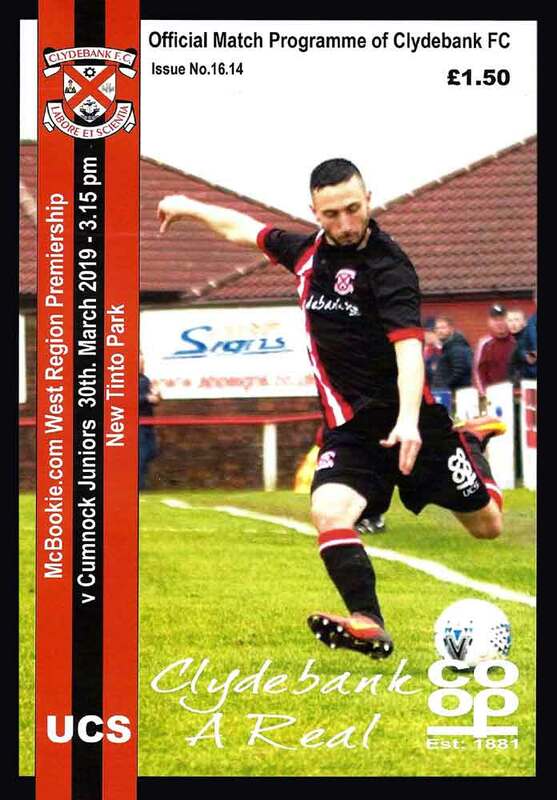 Cumnock were the better team thereafter for the rest of match in terms of general play but the Bankies had far and away the better chances and should have gone into the interval up by at least two more goals. Shelvey was put through on goal with only the goalkeeper to beat twice, but on both occasions the usually reliable striker seemed to forget his shooting boots. The first effort was saved by Semple as Shelvey delayed too long before shooting. The second time the Bankies front man tried to lob the keeper but was off target. Nicky Little also spurned a great chance just before the break. By the time the second half started, the game had descended mostly into a midfield give away with both teams doing their best to hand the other side possession of the ball. It took ten full minutes before a shot at goal was forthcoming with Burns hitting a weak left footed shot that Morrison dealt with easily. This led to a flurry of Cumnock shots, the best of which saw Burns hit the inside of Morrison’s post. The keeper did well to punch the loose ball away from the inrushing Millar. The Bankies responded with a nice move down the left hand channel which led to Shelvey firing in a dangerous cross. Hepburn should have scored easily but he somehow managed to send the ball over the bar. With quarter of an hour the Bankies regained the lead. Nicky Little nodded the ball down into the box. McKenna looked odds on to clear the ball, but Shelvey managed to nip in front of the defender who then contrived to whip the strikers legs from him. Nicky Little was charged with the responsibility of taking the spot kick. He sent the ball to the keeper’s right, but the power was too much for Semple who guessed correctly but couldn’t quite keep the ball out. Little’s 23rd goal of the season took his career tally to 65, and one more will make him the top goalscorer in the current era. Clydebank didn’t really deserve the lead so they decided only to keep it for four minutes. In a carbon copy of the first half a free kick was given away just outside the box. Burns took it again. This time Burns was denied by a stunning one handed save by Morrison as he tipped the ball against the bar. 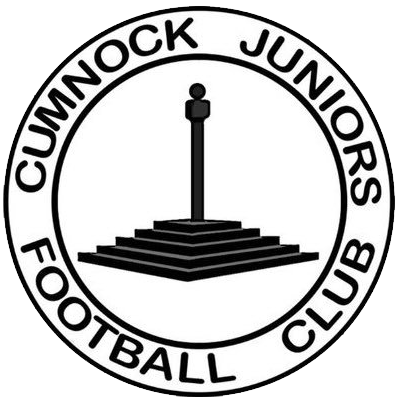 A Cumnock player followed up only to hit the underside of the bar, but it was unlucky for Andy Paterson who had returned to the goal-line as the ball dropped against him and crossed the line. The Bankies display was quite disjointed, maybe understandable after a month of no competitive games. Although there is nothing to play for, the last games of the season will be useful for looking at the team and assessing where improvements can be made for next season. 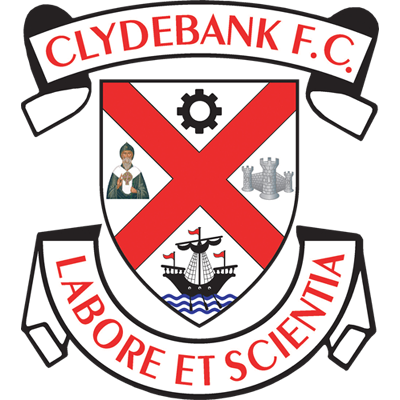 The next match is against Renfrew who are a bit of a bogey team for Clydebank. The Bankies have lost their last three matches against the Western Park men and will be looking to reverse this sequence.